As I expected, Lala announced a few weeks ago that it will be closing its doors on the 31st. 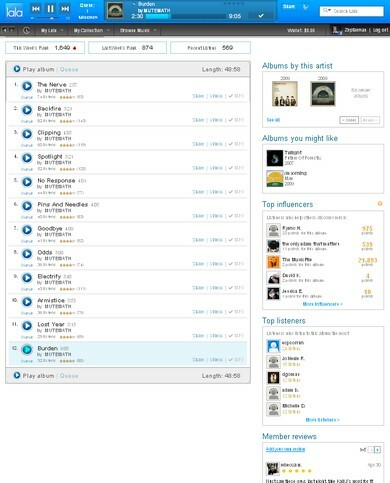 Next to Last.fm, Lala was my favorite overall music site. The good news is that rumors are flying about a June 7th cloud-based iTunes announcement, although I doubt it will be anything near as excellent as the little-known Queen Lala (as I like to call her)… dethroned. Read on for more about the current state of online music. Unfortunately, if you don’t already have a Lala account, you can’t create one to see what I’m raving about. Here are some of the things I loved, though, and it would be great to see another service that could do all of these things as well. Smooth interface. Simply put, it was very easy to use. Some of the features, like Recommendations, were hard to find, but streaming music and browsing artist discographies was a breeze. It was especially nice to be able to hit the Back button and not interrupt music currently streaming. Plays full song once under your login (or IP address?) on almost everything in their catalogue; 30-second sample for remaining plays. I loved being able to listen to a complete album by a new artist. Ability to purchase MP3s for 89¢ (full album further discounted) or 10¢/song for streaming ability only. Other than imeem, I continue to use the sites in my post from last year. I’ve listed pros and cons of most of these (YouTube & Google Video, Last.fm, and Rate Your Music). Additionally, I’d like to highlight a couple sites I hadn’t mentioned in that post. 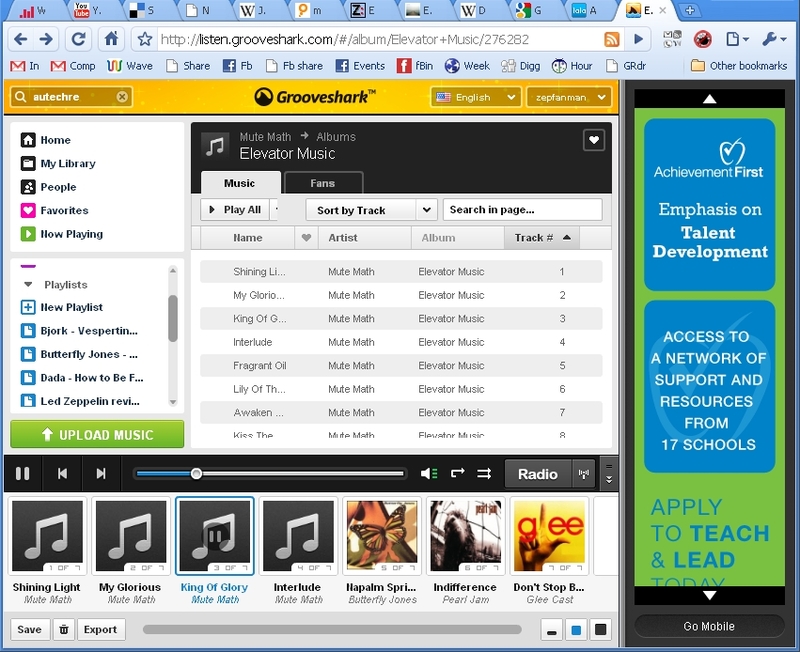 Grooveshark is probably the site with the most content and similar features to Lala at the moment. CONS: Unreliably organized. Can’t download tracks. 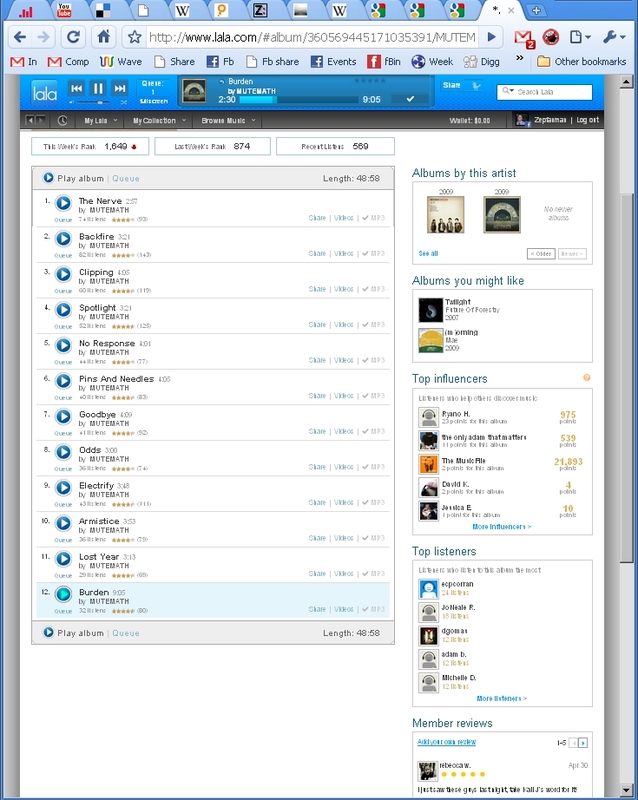 $30/yr or $3/mo for their VIP service which upgrades you to a desktop app, Last.fm scrobbling, no ads, and more; click on the screenshot below to see the full browser page with 1/4 of it taken up by an ad. 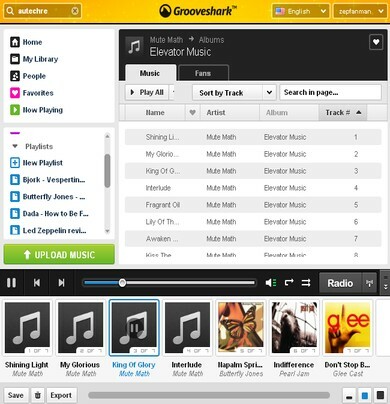 I know that Grooveshark has faced at least two lawsuits from record companies, so beware of uploading music to their site. Bandcamp also deserves recognition, although it sits in a somewhat different category than just a music-playing site. To make a long story short, if I see a band that uses Bandcamp to promote their music, I go ahead and listen to some of their tracks; it’s such a pleasant site to use, plus they offer mp3, AAC, FLAC, and Ogg options to download. (Check out Parachute Musical, one of my favorite Nashville bands.) On the other hand, if I see PureVolume or ReverbNation, I click away, click away! I’d be remiss if I failed to mention ThinkIndie. Ever since Record Store Day 2009, I’ve come to appreciate the independent record store movement. There are several dozen stores across the US that have created a great digital download site. I find a lot of new music through their e-mail newsletter. We have quite a menagerie of music sites to choose from. It’s always interesting to see what kind of business models people are able to imagine… and which ones rise and fall. In the case of Queen Lala, she will be sorely missed by all – her fall came way too quickly. Will Apple raise her from the dead?